I have had a life-long love of all animals. During my younger years I rode and trained hunters and jumpers. During a trip to Germany in the mid-80’s, I fell madly in love with the sport of Schutzhund after seeing a demonstration by the local police. I spent several years dedicated to Schutzhund achieving performance titles and deep respect for the German Shepherd Dog. When I retired from the corporate world in 1998, I decided to join the Association of Pet Dog Trainers and became a certified dog trainer. After many hours of study, practical work and a written exam that still makes my hair stand on end I was awarded certification…one of only 400 trainers in the U.S. That led me to opening my own training facility in Colorado wherein I held many classes for our local population. My goal was to spread the word of gentler and more efficient dog training. I have continued to attend training seminars with a focus on agility. I have been fortunate to have some outstanding dogs one of which is an ongoing project and one who achieved four Championships in the sport of agility and was in the top ten performance dogs in American Kennel Club for several years. My role at BFDC of SC is to listen to our membership, keep our curriculum up to date and oversee the hiring of qualified and talented instructors. I am retired from the Commercial Graphic Arts, Photography, and Website Design industry. Working with dogs over the past ten years has been an amazing life experience. I have been training with my own dogs as well as instructing students through years and must admit that working with handlers and their K9 partners becomes a way of life. When working with your dog as a team, either for fun or competing in dog sports, there is no feeling like it. You can’t explain it to anyone; you have to live it to understand. 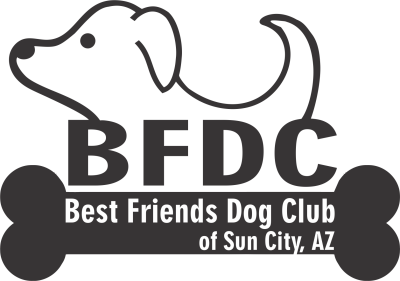 With BFDC I am currently teaching Beginning Manners, Agility Review and Control Unleashed, which is a specialized class, whereby we work with handlers who are having focus and over-reaction issues with their K9 partner. The goal is to help handlers understand the world from the dog’s point of view and become a more connected team to successfully move ahead with agility training or other dog sports. For me, the exhilarating aspect of this whole experience is watching our students hone their skills, become completely dedicated to their K9 partner, and most importantly, have fun with their dog. I started loving dogs as a kid, but my dog adventure really began over 30 years ago. I began competing and teaching formal obedience. I was very successful with my dogs, earning multiple titles, but then dog agility came to dog sports, and I was hooked! I’ve been competing & teaching agility for over 25 years. I’ve been with Contact Zonies Dog Agility Club as a founding member and teacher for 25 years. I have trained several of my own dogs to multiple titles and continue to compete at advanced levels. I continue to train hundreds of dogs at Zonies Agility Club. I just love how the new dogs and owners learn to work as a team and go on to become successful in mastering all the agility obstacles. I’ve also been successfully competing in Rally-O with my dogs for over five years with multiple titles. I started teaching rally last year. Rally-O is a more relaxed and fun form of obedience. I thoroughly enjoy working with and having fun with people who enjoy challenges and having fun with their dogs! I have been training, working and showing dogs my entire adult life. I opened the first doggie day care in Arizona. We did boarding, daycare, group and private lessons and behavior counseling. I own and operate Vivant et Lisse Belgian Tervuren kennel, breeding and showing the versatile and beautiful Belgian Tervuren. I give private and group lessons in competitive obedience. I have also competed in Schutzhund, herding, barn hunt, agility, obedience, rally and conformation. I thoroughly enjoy watching my students make progress with their dogs whether as canine companions, competition dogs or service dogs. Will has worked professionally as an animal trainer since 1992 working mostly in zoos with exotic animals. In 1996 he started doing in-home dog training and animal behavior consultation second to his day to day work. He found the same principles he used on dolphins, tigers and birds of prey at work, transferred easily to helping people with their pets at home. This has led him to not only help dogs, but also conduct cat and bird training workshops as well. He believes strongly in the Canine Good Citizen program and has been an AKC Approved Evaluator since 2010. Will has also competed in obedience and agility trials with his own dogs and most recently discovered the sport of Treibball. As part of the first US Treibball classes conducted in Colorado in 2010, Will has gone on to compete in the first sanctioned Treibball competition in Arizona in 2014 and is also certified as a judge and trainer for the American Treibball Association. He is also a professional member of the Animal Behavior Management Alliance (ABMA). Next to working with animals, Will’s biggest passion is bettering animals’ lives through training and better communication, whether they are in the zoo or your home. His philosophy on training is based on three basic principles, consistency, honesty and rewards. Training works best, not when you trying to control your dog, but when you are communicating to them. Dogs need structure and challenges (both physical and mental), as well as praise to be happy and content.